South Asian Youth for Inclusive Development: Empowering Individuals; Strengthening Communities (YIELD) is an action research project that engages young people aged 15 – 29 from marginalized religious and caste minority communities in India and religious and sexual minority communities in Bangladesh. YIELD attempts to empower these young people to become the ‘Changemakers’ of their communities. This is done through handholding selected youth groups for a period of two years and building their capacities to document human rights violations and take action. 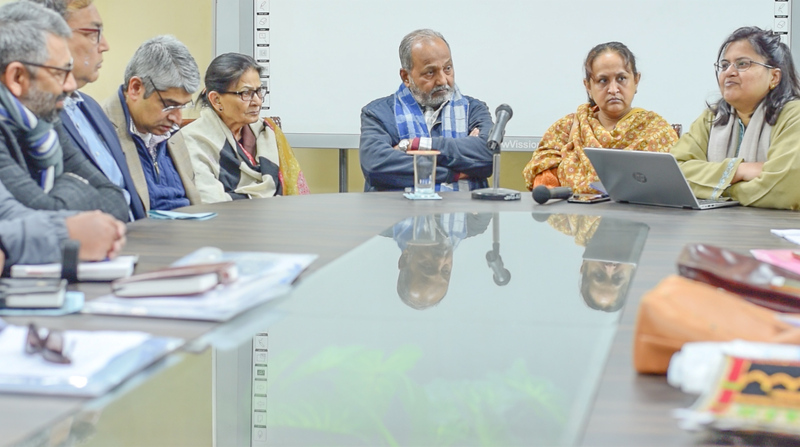 Law and Society Trust (LST), works with Misaal based in New Delhi, and Bandhu in Dhaka on project YIELD, and the latter two organizations implement the action element of the project while LST supports the research element of the project. Building on lessons from our earlier interventions and expanding the scope of those interventions, this action research empowers marginalized young people to act as change agents in their communities through civic engagement, to improve inclusion outcomes including reduced violence against religious, caste, and gender minorities and reduced discrimination against them in accessing services, opportunities, and social security schemes. The groups of young people are first trained in research methods and then they begin to collect qualitative and quantitative data which is fed to the Country Implementation Teams (CITs). By documenting changes in their community, young people also begin to mobilize on the issues that they identify, and devise action to improve conditions of the community. The Changemakers also document human rights violations and engage in local and regional level advocacy. Youth groups are closely observed and processes are documented drawing out lessons learnt in working with this group of young people. Country Implementation Team (CIT) supports youth group to organize youth around issues of direct bearing on the wellbeing of the youth. Youth groups are empowered by partners on how to mobilize to win their rights and researchers train youth on action research methods. Youth begin to mobilize on issues that they identify while parallely beginning to collect data. As a result of the observation techniques implemented, youth begin to document changes in their community subsequent to mobilization around common issues. Youth and researchers begin to analyze and write-up results. These results are reviewed by CIT and Project Management Team (PMT) and results fed back to local communities and other stakeholders in country and regionally. Convenings locally and regionally on thematic/issue based youth related issues emanating from country level convenings and priorities provide space for discussion of these results and inter country exchange of ideas among South Asian youth takes place. Models of youth mobilization are seeded in communities and changes at ground level documented. These are shared among thought leaders and youth groups within and between the three countries. As a result, youth become agents of change in their community. Build networks of youth groups across the South Asia region which are able to employ civic engagement to positively influence outcomes for minority groups– including security, identity, dignity, and development (their equal access to services, entitlements and opportunities). Build capacity of (minority) youth groups in documenting rights violations and discrimination based on international and national benchmarks. Develop and strengthen minority youth networks to better engage with key stakeholders – state and civil society. Across South Asia there are attempts to respond to a range of moral and societal fears around youth identities and expression. Shaped in the context of increasing social, economic and political frictions and polarization, the social/civic space and social and economic opportunities that youth can claim, and how they do so, is shaped by a web of formal laws, rules, policies (state practice) as well as social norms and authorities. In this context, YIELD seeks to examine how these normative worlds impact on youth and how youth negotiate in and through these normative worlds. The potential benefits of conducting this action-research regionally – across communities in South Asia –would mean that positive experiences of youth action for inclusion – good practices, specific programs, interventions that have proved successful, and lessons learnt in different country contexts – are shared across the region, helping improve regional outcomes on rights and inclusion. Given that regional dynamics in South Asia have been seen to impact country-specific outcomes on inclusion, a regional approach to improving inclusion outcomes, with youth engagement as its center-piece, should make a solid contribution to help diffuse cross-border tensions. As YIELD is an action research, research findings draw on the lessons learnt during implementation. It was decided by PMT that to synthesize the experience and findings, a Working Paper would be developed on the implementation of the action research YIELD. This working paper will be a knowledge piece, that combines the narrative on the objectives and the methodology and analysis and draws on the experiences of the first 5 months of the project, outlining ‘what works and what doesn’t’ in terms of the change the team seeks to effect. The First Working Paper points to some of the key lessons that have already emerged. One of the main lessons learned relate to the capacity of Changemakers from India. The Changemakers devised an advocacy plan and conducted a survey as an effort to find evidence to support it. When the reports were received by the CIT, it was clear that the enthusiasm of the Changemakers was not mathched by analytical skills. They were unable to design appropriate data collection tools, to convert data into coherent information, to identify underlying causes, and to point to the required strategic interventions. A detailed account of this activity can be found in 5.2.2. below. It was soon understood at this stage that some of the assumptions made regarding the capacities of the Changemakers in India were incorrect. The qualitative assessment of State Supervisors, that led to this assumption appeared to be flawed. Possible causes for this are examined in 2.1.5. of the First Working Paper. The need to build capacity of Changemakers was a recurring theme. It was also one of the key motivations and demands identified by Changemakers from Bangladesh. It was understood that continuous education that includes trainings on research methods and documentation as well as on addressing thematic areas such as discrimination, human rights, and advocacy is needed. It was agreed that to train the Changemakers, a handbook that contains such information, activities and exercises, as well as data collection tools, reporting formats and outlines needs to be developed. Section 4.1 of the First Working Paper provides a synthesis of how training modules can be developed to further develop the capacities of Changemakers. It was also noted that, at the post Inception Phase, there was inadequate handholding on the ground- The State Supervisors had not given the Changemakers sufficient support and some of the State Supervisors themselves lacked the capacity to provide this support. From this, the conclusion was drawn that there was a need to strengthen the relationship between State Supervisors and the CIT as well as State Supervisors and the Changemakers. State Supervisors are the link between the CIT and the Changemakers and it was recognized that the State Supervisors had to be convinced of the importance of accurate and rigorous documentation. How this situation can be remedied is examined in 3.2.1. of the First Working Paper. In addition to these key technical lessons-learned, the First Working Paper examines the administrative lessons-learned as around the issues of co-ordination, time allocation, and addressing financial challenges. 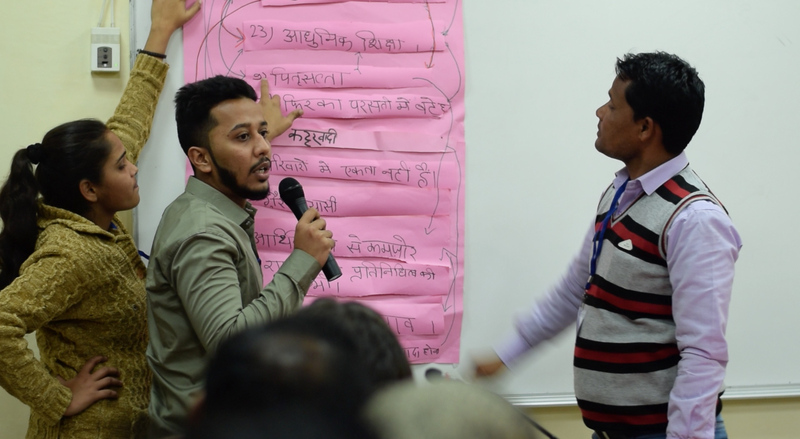 Build networks of youth groups across the South Asia region which are able to employ civic engagement to positively influence outcomes for minority groups– including security, identity, dignity, and development (their equal access to services, entitlements, and opportunities). At the inception of the project, Bandhu formed a youth group comprising of 15 members who are committed to become Changemakers and are willing to play a key role in their communities to secure rights, entitlements and inclusion of people from religious and sexual minorities. This includes raising their voices (advocacy) and creating spaces for facilitating dialogue on inclusion of youth from religious and sexual minority communities in policy decisions, and to develop strategies of resistance against the processes of exclusion and violence of these religious and sexual minorities. All Changemakers in the group belong to religious and sexual minority communities. The levels of education –and the average range and skills and capacities of the Changemakers is low. To achieve the expected level of engagement, sustained technical support and monitoring is essential. During the fist six months, Bandhu discussed with Changemakers, the context in which YIELD was developed, and its objectives, concepts around implementing development programs such as- identifying and prioritising issues, developing solutions, prioritising action and reporting methods. Activities Bandhu conducted with the Changemakers will be discussed in detail under Project Implementation and Management below. There was a a long delay in obtaining approval from the NGO Bureau of Bangladesh which in turn delayed the fund transfer. The approval was received on 9th July 2018 and at the time of writing, i.e. 8th August 2018, Bandhu had not yet received the funds for the first six months. Misaal has formed two youth groups consisting of young people who already engage with Misaal as fellows, trainers, and teachers. Youth Group 1 is based in Uttar Pradesh and Haryana, and the Youth Group 2, in Bihar and Madhya Pradesh. Each group is made up of 10-15 young people belonging to poor or lower middle class sections of Muslim community and some of them are from Dalit community. Half of the Changemakers are women. These two groups of young people were instrumental in conducting the Baseline Mapping in India during which their capacities too were observed. The Changemakers were aware of and understood the laws and policies that were discriminatory, but their understanding of human rights, their operation, and redress mechanisms were vague. Therefore, it was understood at the early stages of the project that capacity building aimed at empowering them with comprehensive knowledge on these is crucial. More information on the activities carried out with the Changemakers in Misaal is found in Project Implementation and Management section below. 3.2.1. Build capacity of (minority) youth groups in documenting rights violations and discrimination based on international and national benchmarks. During the last six months a training module titled ‘Changemaker Training Handbook: Module 01’ was developed. It includes a section on documenting human rights violations in the form of case studies and provides a format for case studies. 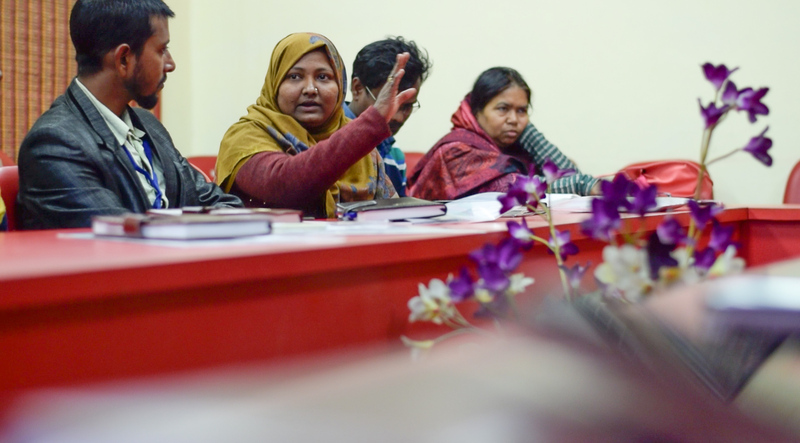 Although this module was briefly introduced to the youth group in Bangladesh, translating and adapting the module to local language remains to be done. Bangladesh had planned to conduct one training on Human Rights and National and International Laws policies and Practice, the Yogjakarta Principles and Universal Decleration of Human Rights (UDHR), and another on case documentation of rights violation, abuse, discrimination based on religious and gender expression, both trainings could not be carried out due to the delay in obtaining NGO Bureau approval and the consequent delay of transfer of allocated funds. 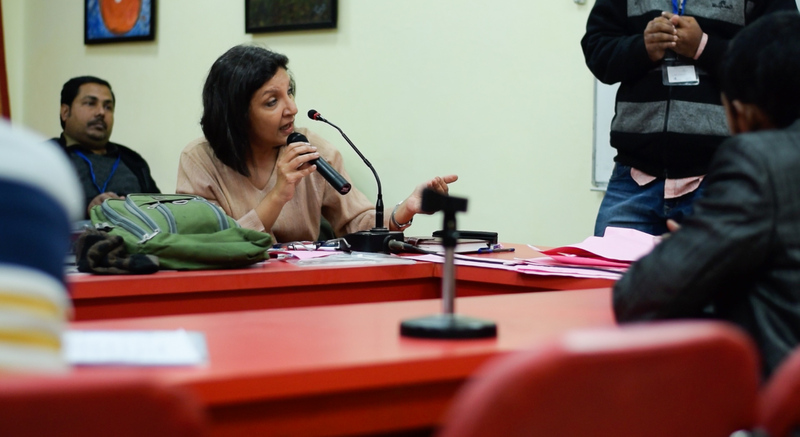 Changemakers attached to Misaal already engage in documenting rights violations. This is done through helping document hate crimes, enabling community members by helping them access legal and civic entitlements, and by writing case studies for various publications listed under Project Outputs and Dissemination below. These case studies are based on data collected using various techniques. The idea is to observe incidents of rights violations in an informed way, and locate the observations in a local/regional context through deploying Focus Group Discussions (FGDs) interviews, unstructured community meetings, mappings, and surveys, based on the community’s need. 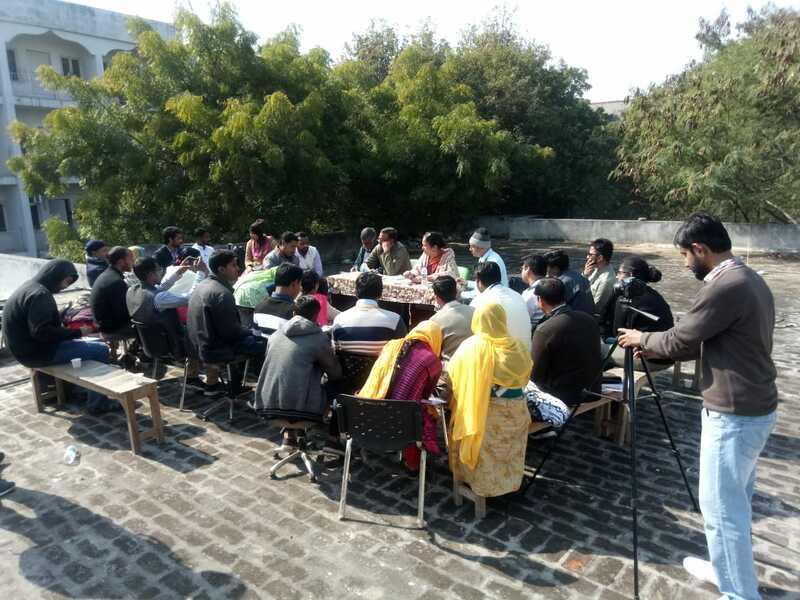 Misaal’s second Quarterly Meeting was held in Lucknow on 15th to 18th April, and two days were allocated for developing capacities of 21 Changemakers working with Misaal. 15 participants were women. There were sessions on Right to Food campaign and Food Security Act 2013, Right to Education Act 2009 and how it can be implemented on the ground, and domestic violence and Domestic Violence Act 2005. 3.2.2. Develop and strengthen minority youth networks to better engage with key stakeholders – state and civil society. 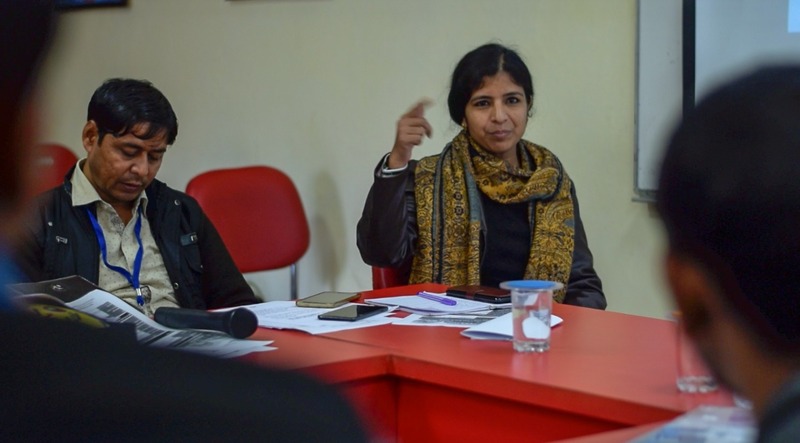 During the Misaal’s second Quarterly Meeting in Lucknow, importance of mobilisation and advocacy was discussed with the Changemakers. Changemaker Training Handbook; Module 01 contains a lesson of Advocacy where identifying and targeting stakeholders are discussed. Life skills ToT developed by Bandhu which focuses on advocacy, negotiation, data collection and documentation. It also discusses identifying allies and potential opponents to further enhance negotiation skills. Changemakers on the ground, working with supervisors/ co-ordinators submit monthly reports to CITs. These reports examine which activities were supported by the project during the reporting period, by youth group, and against agreed work plan, are original work plans and timelines being followed, which activities are being planned in the coming month, and a short evaluation of ‘change’. Case studies compiled by the Changemakers and self evaluations form part of the documentation mechanism. Changemakers attached to Bandhu have agreed to produce bi-monthly reports to the leader/ co-ordinator who will then compile monthly reports. Though bi-monthly reporting is yet to formally start, Changemakers have documented their formal meeting, also using photographs, and the report of the formal meeting has been submitted to CIT. Changemakers working with Misaal submit weekly reports to their respective supervisors who assess these reports and share both the reports and the assessment with CIT as well as with the Changemaker. CIT maintains regular communication with supervisors and Changemakers, handholding the Changemakers throughout the process. Misaal has a three tier system to support the Changemakers. At the country level – National Resource Centre (NRC), at the State level- State advisory group & State Supervisor and at the grassroots level – the Changemakers themselves commonly known as fellows. The NRC is staffed with 4 persons – Director (Male), Head of Programmes (Female), Fellowship Coordinator (Male) and Research & Communication Officer (Female). There are three State Supervisors (all male) who form the link between the NRC and the field staff – SS UP, SS Bihar and SS Haryana & Rajasthan. There are 6 fellows (4 female & 2 male) who are in-charge of organising community at a site and also leading on entitlements related work. There are 4 trainers (3 female & 1 male) and 6 teachers (4 female & 2 male) who report to fellows. The mechanism to report the work is- the Changemakers sends weekly report to their respective supervisor, upon which supervisors are supposed to identify the gaps in these reports and write their assessment on these reports and share these with both the NRC and the Changemaker. On the other hand, NRC is in regular communication with the State Supervisors and Changemakers. It provides them with necessary tools and trainings, and helps hold the programme together by identifying challenges, gaps or patterns. Similarly, trainers and teachers do bi-monthly reports. Supervisors are supposed to give monthly reports which they base on the reports from teachers, trainers, and fellows. Lastly, all staff members (except for the NRC) are supposed to write case studies every month. In all the sites where change-makers are working, they facilitated the community to apply for various entitlements schemes- insurance schemes, loan schemes; social protection schemes- housing schemes, financial inclusion, education scholarships, livelihood schemes. Also, there were regular classes in the Taleem centres and Rozgaar Centres. In Taleem Centres, to understand the progress of students’ learning, monthly tests were held and the progress noted was good. In Rozgaar centres the module for stitching was followed with regular classes. An essential aspect of YIELD is building credible evidence and documentation to advocate for the marginalised. But another important objective of YIELD is to map Changemaker’s efforts towards creating replicable models for marginalised youth in similar contexts. Each phase of the campaign plan had aligning documentation, recording both the outputs achieved and the efforts involved, the process and its implementation. The objectives included both Changemaker capacity building and community mobilisation. i) Recording observations on field during the three phases of implementation – evidence building, mobilisation and advocacy. i) Month 1 – Self reflective case study report identifying reasons for campaign issue selected, survey conducted and challenges therein, as well as their understanding of survey results and other evidentiary material collected. ii) Month 2 – Self reflective case study report on progress of campaign with FGD and mobilisation; breaking down the activities done, obstacles and results. iii) Month 3 – Self reflective case study report on effects of campaign, within the community, on state functionaries and their own understanding of campaigning and contextual realities. A subjective analysis of what went well and what did not, lessons learnt and growth as a researcher. iv) State Supervisors who oversee the operations of Changemakers were also expected to present a self reflective case study report every month detailing the implementation of all three phases in their states, what were some identifiable patterns in successes and challenges and identifying good practices. Although, planning done in the April Quarterly Meeting was based on a consultative approach, the implementation and learnings were supposed to be bottoms up. This was not achieved during the execution of the planning. The NRC has to develop better tools to guide the Changemakers in implementing, monitoring and reporting back. First issue which came in way was lesser communication between change maker-State Supervisor-NRC. This gap could be sorted out by establishing a system of regular updates on the work and a process of feedback & developing resources. Keeping in view the gap, in July QRM, a system of regular communication has been put in place wherein State Supervisor will be visiting the change-makers on monthly basis to guide them to conduct community meetings/focus group discussions. Apart from regular visit, the monthly report of the Changemakers which is submitted to State Supervisors will have a self-assessment section wherein change-makers will reflect upon the challenges they face in the field and then State-Supervisor will act on the feedback to assist them to overcome the challenges. Also, there is, after July QRM, provision of monthly State Advisory Group meeting has been put into place wherein the Misaal’s National Resource Centre, State level advisory group, change-makers from all the sites of State will be in attendance and this meeting will be chaired by State-supervisor to discuss the issue/challenges faced by change-makers. SAG will try to assist the change-makers to overcome these challenges. These SAG platform will also be used for workshop, training for the change-makers to enhance their capacity to work in field. Second issue was that the NRC did not follow-up on technical skills of research – survey, Focus Group Discussion, data analysis and interpretation etc. – which they had trained the change makers and Sate Supervisors on earlier. Third issue is of documentation. The reporting structure noted above is actually restructuring of the previous process. Earlier NRC and the State Supervisors would receive weekly reports directly from the Changemakers and not give feedback on it. That is there was no comparative analysis and assessment of weekly reports produced by fellows. The new structure will become operational in June. Both the supervisors and NRC will now examine weekly reports by the Changemakers and respond with identified gaps. NRC will additionally come up with plan on addressing these lacunae. Similarly, qualitative monthly reports from State Supervisors will be implemented starting June. Based on the reports from Changemakers, CITs formulate Quarterly Reports and share with the PMT. These reports include a synthesis of monthly reports, the steps being taken if there are delays, changes to scope and methodology, a discussion of how the project is helping build the capacity of youth groups, and the research findings and outputs. Meeting minutes of PMT are being archived as they capture the process vividly. According to the agreement with IDRC, the project commencement date is 15th January 2018. However, the project in fact commenced on 14th February 2018. Baseline Mapping was submitted in mid-March and the Inception Report was submitted on 17th April 2018. It was decided that the first Quarterly Report will discuss the activities carried out in the three months following the Baseline Mapping (15th March- 15th June) and a Supplement to Quarterly Report will be shared on activities conducted during the period 15th June to 15th July. However, revising and finalising the reports took about a month and activities conducted until mid-July too were included in the revised Quarterly Reports. Therefore, in the six months that ended, two reports from each country has informed the PMT- Baseline Mapping and Quarterly Report. This First Interim Report is based on all four reports. 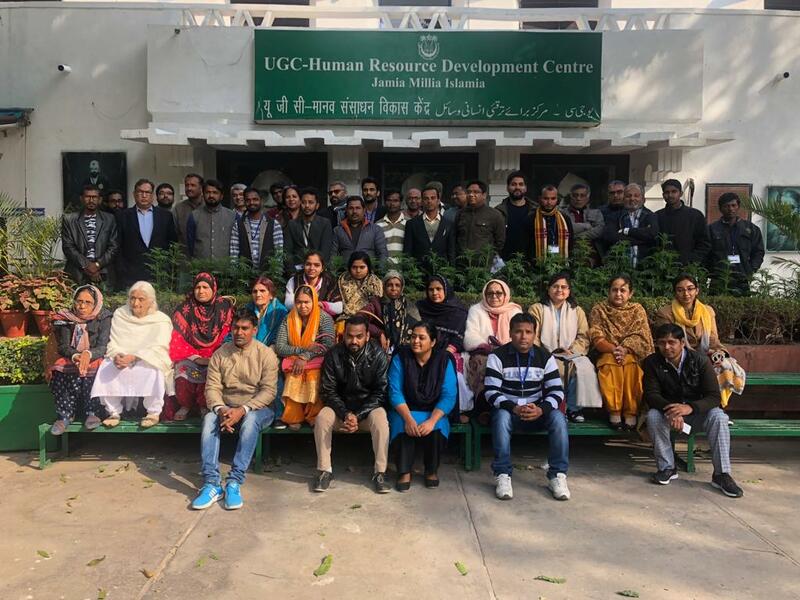 Misaal’s Quarterly Meeting in Lucknow, mentioned above in 3.2.1, doubled as a training programme and 21 Changemakers participated in this program. In addition to sessions on Right to Food and Food Security Act 2013, Right to Education Act 2009 and how it can be implemented on ground, and domestic violence and Domestic Violence Act 2005, there were sessions on sewing and videography. At this meeting, different data collection techniques and research skills were also introduced to the Changemakers. Changemakers were trained in designing and implementing FGDs, conducting interviews, and recording observations. Hand-outs were used to communicate key messages and mock exercises, discussions, and debriefings were carried out. Tools to monitor and analyse incidents of hate online and offline, too were shared. In the last research cycle (April, May, June) Misaal staff became familiar with various ways of documenting their everyday lived contexts through scientific data collection techniques. However, it was realised that to operationalise these on ground in a standardised way (for results and evidence building) resource materials have to be developed – How Tos on data collection technique, handouts and ToTs. These include resource materials on documentation techniques and other rights based acts/laws (legal rights, women rights, child rights and civic entitlements). Further, in the last 6 months, Misaal’s State Supervisors have been doing legal follow-ups directly with lawyers on anti-minority hate crime cases. Misaal has witnessed a positive capacity development in understanding of legal rights and legal process. A ‘Changemaker Training Handbook’ was developed with the expectation that it would collate information on program planning and conducting research in simple language that can be made available to the Changemakers as a handbook, so that capacity building is consistent and convenient. It is expected that this will help Misaal and Bandhu develop training modules in local languages. Module 01 includes lessons on identifying and prioritizing issues, devising solutions, and planning action. It also addresses documentation, research techniques, and advocacy. This document has been used to inform the Changemakers attached to Bandhu on YIELD and their role. 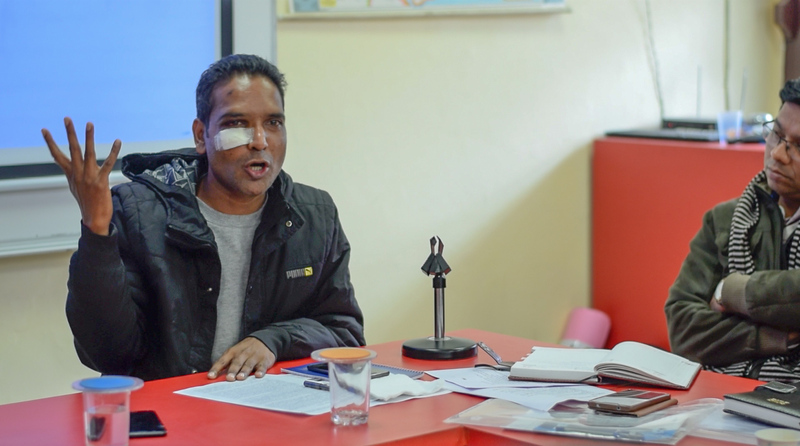 The delay in obtaining approval from Bangladesh’s NGO Bureau which in turn delayed the fund transfer was a challenge, and prevented Bandhu from carrying out some of its activities. The approval was received on 9th July 2018 and at the time of writing, i.e. 8th August 2018, Bandhu had not yet received the funds for the first six months. Bandhu hopes to carry forwards the activities that could not be completed, to the next quarter. Despite this, Bandhu carried out the following activities with the Changemakers. At the Inception Phase, Bandhu formed a youth group comprising of 15 members. Though the formal reporting is yet to commence, the leader of the Changemakers group is in touch with the group and is providing guidance and support to remain active in online international platforms/campaigns. Formal and informal meetings were conducted with staff as well as the Changemakers where objectives of YIELD, the role of Changemakers, communication, and reporting methods were discussed. Changemakers were informed of research and documenting methods, data collection tools, and identifying and prioritising issues and solutions. In this quarter, Bandhu followed up with the Changemakers on the information obtained at the Baseline Mapping and verified status of Changemakers, including location. None of the participants had changed their identity or location in the last six months. It was also noted that there is no likelihood that they will change their gender identity or sexual orientation in foreseeable future. 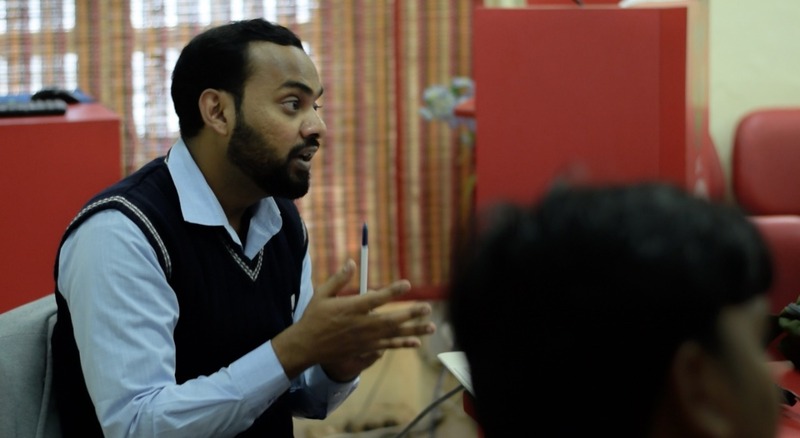 Bandhu worked on developing the training module on Life Skills. Though termed ‘Life Skills’, this module focuses on developing capacities and skills such as advocacy and documenting rights violations required of the Changemakers to successfully implement the project YIELD. Outline was shared with the Changemakers in an informal meeting, and feedback received. Accordingly, the module was developed to include 4 main components- advocacy, negotiation, data collection techniques, and documentation. The developed module was then shared with the PMT for feedback. 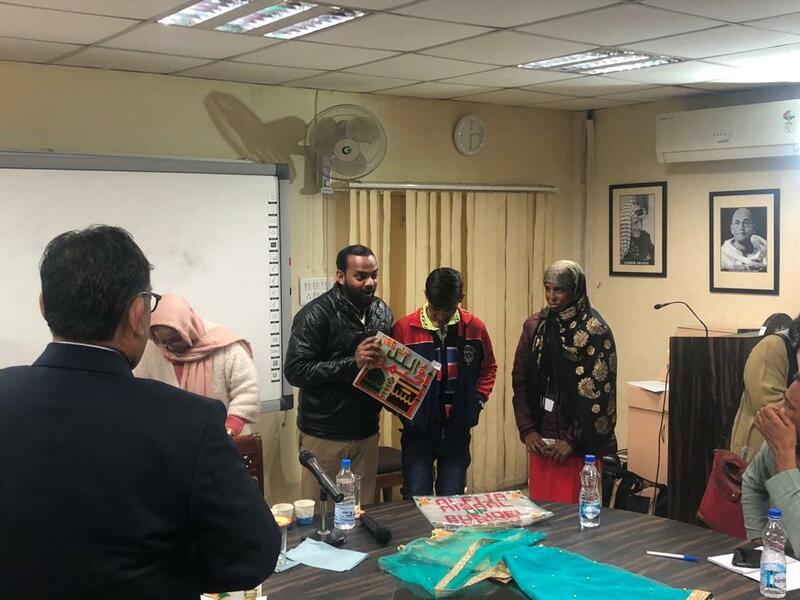 The Baseline Mapping conducted in the Inception Phase pointed to certain gaps in the capacities of Changemakers and in the quarter following the Baseline Mapping, Misaal focused on identifying these gaps further in order to develop training modules/curricula. 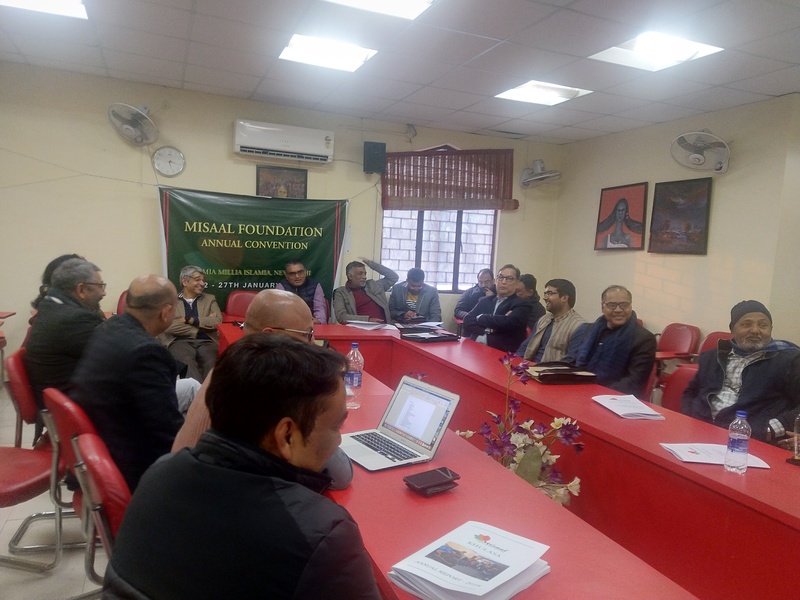 Misaal held its second Quarterly Meeting between April 15th – 18th 2018 in Lucknow and the focus of this meeting was on introducing action research methodology, significance of documentation of community led campaigns, and advocacy efforts. There were sessions aimed at enhancing capacities of Changemakers as discussed in (5.2) under Capacity building above. A plan of action was developed at the end of the program. This plan included integrating robust documentation into campaigns, mobilisation, and advocacy. It was decided at the Inception Phase that in this quarter, Changemakers will identify issues on the ground, organise a campaign that involves mobilisation- raising awareness and understanding on human rights and state accountability. Accordingly, each Changemaker selected an area to campaign on based on their understanding of the context. Youth Group 1 selected water, sanitation and women and child welfare as their themes while Youth Group 2 selected sanitation and women and child welfare. However, the Changemakers failed to base their choice on evidence. The following activities were identified as the main steps for implementing their action. As the first step, surveys were carried out in May in 5 sites – Haryana, Muzaffarnagar, Madhubani, Vaishali and Phulwarisharif. However, when the reports of the surveys conducted by the Changemakers were received, it was clear that the Changemakers lacked severely in analytical skills. For instance, they were unable to design appropriate data collection tools, to convert data in to coherent information, understand underlying causes, and point to possible interventions. Therefore, it was decided to conduct further trainings aimed at skill development and to re-do the surveys. Equipping Changemakers with analytical skills was not part of the initial plan at the Inception Phase, but it appears that our assumption that the Changemakers will have this capacity, was erroneous. Therefore, this is a slight change in our approach. It was noted that there was inadequate handholding at the ground level as the State Supervisors had not provided sufficient information and support to Changemakers in developing and conducting surveys. The Supervisors also lacked the required analytical skills. Therefore, it was decided at the Misaal Quarterly Meeting in July 2018 that a multipronged approach will be adopted. Firstly, the Fellowship Coordinator will travel to all sites in the next quarter to facilitate survey design, implementation and data analysis. This is another change made to our initial implementation plan in order to facilitate effective implementation. Secondly, the realisation of these capacities – understanding which data collection tools to use, research methodology and analysis of field based data – will be aided by the resource material that we are developing. The idea is that the change makers are able to document, understand and present evidence for advocacy and public campaigns towards a positive change. CIT developed a cyclical plan that would familiarise the Changemakers with the significance of documentation and allow them to plan their mobilisation and advocacy actions more effectively. This is discussed in detail in 3.2.3. above. Month 1: Self reflective report identifying reasons for selecting the particular issue to campaign on, discussing the surveys conducted and challenges faced, as well as their understanding of survey results and other evidence collected. Month 2: Self reflective report on progress of the campaign, observations on FGD and mobilisation efforts, activities conducted, challenges, and results. Month 3: Self reflective report on effects of campaign within the community and on state authorities, understanding of campaigning, and contextual realities. A subjective analysis of what went well and what did not and lessons learnt will also be included. Misaal Newsletter On-going Monthly via emailers; few copies are printed for donors and advocacy purposes. Article to National Herald On-going The Fellowship Coordinator has written an introductory piece. This has been submitted to the editor of National Herald. Joint Amnesty International Campaign: Halt the Hate (2 case studies) On-going One campaign video on a lynching case in Uttar Pradesh is already done. Two more campaign videos will be made on recent lynching cases in Jharkhand and Madhya Pradesh. Campaign & Advocacy – Report on Fake Encounters On-going Report was released at a Press conference with affected families. The report was dessiminated through printed copies, emailers and is available online (http://citizensagainsthate.org/wp-content/uploads/2018/06/Countering-The-Silence-Full-report.pdf). National Human Rights Commission is investigating 17 encounters in Western UP based on a civil society petition which drew on CAH research. 13 submissions were made to the special rapporteur on extrajudicial, summary and arbitrary killings based on our research. Hate Crime Tracking On-going Two fact-findings, on Bihar communal violence in March and Hapur (UP) lynching, were conducted. One report on Bihar has been released. Another report on lynching in the last three months is being finalized. CAH – First biannual digest, “Orphans of Hate” Cancelled Idea has been cancelled due to lack of resources. National/International advocacy on hate crimes and anti-minority violence On-going Lynching without End was reprinted with an updated Note in February 2018 (http://citizensagainsthate.org/wp-content/uploads/2018/06/Lynching-Without-End-Reprint.pdf). This report was initially released in September 2017. First print of the report had been timed with India’s Universal Periodic Review (UPR) last year. It was referenced in a civil society statement made at the UPR. Contributed towards a civil society statement at the 37th Session and the 38th Session of the HRC. SAC – State of Minority Report in South Asia On-going Communicating with authors and reviewers. Looking for an early November release. Op-ed on Hate Crimes Planned This is planned for the next half of 2018. SAC tracking reports on hate crimes/ discrimination Not started Waiting for funding and coordination systems to be put in place. Guideline for local and national level advocacy and communication involving different stakeholders for group members On-going Bandhu has started working on developing strategy for advocacy and communication. Bandhu expects to finalise and share the Guideline by mid-September 2018. ToT Guide Completed Changemaker Training Handbook- Module 01, discussed in 4.2 above. ToT module for Life Skill development of the Change Makers Completed Discussed in 5.1.4 above. Impact of YIELD project must be assessed on two counts: (i) ability of Misaal and Bandhu youth groups to enable tangible change among its community of practice; (ii) ability of Misaal and Bandhu Changemakers to drive that change – in themselves and the community of practice – through developing thematic/technical and generic/procedural capacities, so the capacity built is sustainable. Below, we reflect on impact of the project over the past 6 months, fully conscious that it is difficult to create and assess impact within such a short span of time. Misaal youth groups have, over the past 6 months, using YIELD process, provided community members they work with, access to a range of rights and entitlements, including social security measures – food security, nutrition, pensions and scholarships, education and health services – and legal rights. Particularly noteworthy has been the legal aid and guidance, youth groups have been able to provide to victims of hate crime in the areas they work in. Plans are also in motion to scale up the impact of these tangible benefits, through use of technology (mobile app) so as to reach larger numbers. 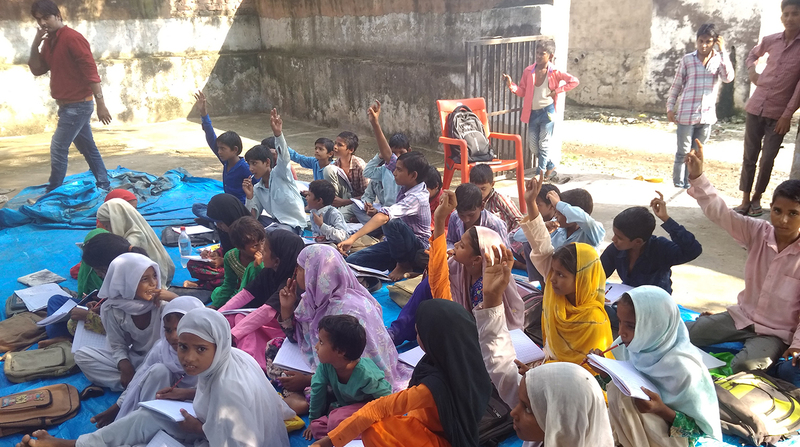 Alongside Misaal and Bandhu changemakers have also been developing own capacity (and diffusing that capacity among the communities they work with) to ensure the tangible change is scaled up, is longlasting and sustainable. Firstly, at PMT level and CITs in Bangladesh and India, there is the acknowledgment that the cycle of observation, reflection, and improvement, is an effective tool of practice for improved results and capacity. Secondly, there is a realization that work should be planned in a structured way, with a clear methodology, objective, outcome, a pre-planned calendar of outputs with relevant documentation/validation, and preliminary impact assessment. This is in addition to regular budgeting and planning work. This latter realization has driven PMT to devise better reporting formats for staff and start an exercise in educating themselves and the Changemakers on the utility of designing and employing relevant data collection techniques. In the case of Misaal, this has also seeped down to youth group level, with fellows, teachers, trainers, and State Supervisors, in the many reiterations of the need to develop documenting and reflecting capacity. This is reflected in the improved participation of youth groups in these processes at the Quarterly Meetings (LKO and Nuh). Thirdly, for Misaal, explicit gaps in staff capacity have been identified. To address this, resource materials (ToTs, awareness/campaign materials) will be developed on five themes – documentation techniques, entitlements, Misaal mobile app, women and child rights, and legal work. These are resources that will be left in the communities. Fourthly, the learnings from last 6 months has informed Misaal’s organizational structure. Misaal was in the process of restructuring its work to make it more impactful when YIELD began. Misaal is planning to amplify the impact of our work by establishing facilitation centers in the areas where Misaal works. The idea is that Misaal Fellows, Teachers, and Trainers will staff these facilitation centers. The villages and communities around it will have access to these. These would be office spaces equipped with a compete/printer, infrastructure for Taleem classes, and Rozgaar Training. The learning from last six months have enabled Misaal to plan these facilitation centers more effectively as safe community spaces that will be used for Misaal’s programmatic work as well as community mobilization. These facilitation centers are envisioned as fulcrums for community mobilization and awareness campaigns, especially, those that target youth. Next step towards achieving this is to establish youth meetings, trainings (social, civic, and legal), and conduct sensitization workshops along with monthly State Advisory Meetings in these hubs with supporters and donors. Fifthly, Misaal is also restructuring the scope of work in the areas where it works. Misaal is piloting a detailed social mapping of new sites (near the areas where we already work), surveys and FGDs of both new and old areas, and based on these, planning to develop analysis of what issues affect the communities and how can one inclusively and creatively document and address these. The Fellows will now have the added responsibility of staffing the facilitation center and also increasing the geographic scope of their work by clearly following a scientific methodology – social mapping, survey, community meetings, FGDs, and analysis – based on which actions will be planned. Lastly, like the facilitation centers, Misaal has been able to better plan Misaal’s mobile application related work. We are developing a new version of our application which like the earlier version will give the user information about which scheme they are eligible to benefit from. For this, the user provides basic information such as age, domicile, religion, caste, gender etc. The new version will additionally feature information of private and public services or business that are related to health, sanitation, housing, hygiene, education, and safety of women and children. Though the IDRC agreement with LST provides as commencement date, 15th of January 2018, the actual commencement was on 14th February 2018, due partly to delays in paperwork and approvals. We therefore recommend amending the project start date to 14th February 2018, which would also allow us to take full advantage of this project, through to 13th Feb. 2020. Late clearance of funds for Bandhu, even after this delayed project start date, has come in the way of Bandhu delivering adequately on its project objectives. We recommend, specifically for BANDHU then, extension of project start date to the date it received approval from national systems for spending its budget. Additionally, and learning from the experience of the 1st 6 months of the project, we recommend early release of 2nd tranche of funds by IDRC and LST to Bandhu, and for Bandhu to take early action for approval of spending by national systems. 8.3 Correction in Misaal budget and revalidating budget. We request a correction of an error in budget that appeared in final version, re the position of Consultant Misaal. The consultant was meant only for Misaal, but by error at the detailed budget stage, budget was split in error between Misaal and Bandhu. Originally, only two positions were envisioned for Bandhu, when budget was being developed – (i) country lead (Bandhu manager) and (ii) Bangladesh ground lead (youth group lead). A 3rd position (of Consultant Bandhu) was created, gratuitously, when none was planned for Bandhu. This error has also prevented Misaal spending money on the Consultant position in the existing budget. The consultancy is provided by the project Lead Investigator/Misaal Director. Misaal was waiting for the error in the budget to be corrected before making the spending. So a second recommendation is to revalidate this budget for the next 6 months, so the full amount (1st and 2nd 6 months budget on this activity) can be spent and booked in the period July-Dec. 2018. Gender identity or sexual orientation. This includes identity as a gay man, a lesbian, a transman, a transwoman or an effeminate male.